QuickTSI has powerful Carriers Search feature allowing shippers and freight brokers to find carriers matching their needs. In light of a legitimate concern for public safety on the highways, FMCSA regulations expect interstate commerical truck drivers to have a physical exam and carry a DOT medical certificate to operate a motor vehicle with a GVWR or GCWR of over 10,000 lbs. in interstate commerce. If commercial drivers current medical certificate expires on or after May 21, 2014, driver must be examined by a medical professional listed on the FMCSA National Registry of Certified Medical Examiners. QuickTSI is helping commercial truck drivers in locating a CDL Physical Exam Location near them. Are you an Owner Operator or Driver looking for work? QuickTSI provides access to truck driving jobs application from trucking companies such as Schneider, Swift, CRST Malone, J.B. Hunt, Werner Enterprises, Mcleod Express, Heartland Express, Melton Truck Lines, Celadon, and Cal State Xpress. Start your search for truck driving jobs in major US cities today! Do you want to convert your freight bills into cash? Freight Factoring Companies can provide the solutions a trucking company needs to work smarter and grow business. 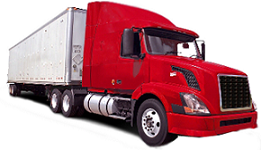 QuickTSI has created a collection of Freight Factoring Companies in the United States for the trucking industry. As federally regulated and bonded companies, freight brokers are involved in assisting shippers find competitive rates for their shipments/loads by utilizing their network of trucking companies. QuickTSI provides information on freight brokers across major US cities. You can view freight brokers businesses in California, Texas, Florida, New York, Ohio, etc. Are you interested in becoming a Truck Driver and need to find a Truck Driving School? QuickTSI has free information on Truck Driving Schools in most US States like California, Texas, Florida, Pennysylvania, etc. If your truck or trailer needs a wash let QuickTSI helps you find a truck wash near you. Use our site to find a truck wash near where you live and even when you're on the road in all major US cities and states. Which insurance company is right for you? There are many factors that need to be considered when signing up for cargo and liability insurance such as cargo hauled, driving history, safety feature of trucks, etc. If you're looking to sign up for the first time or to change insurance companies you have come to the right place. QuickTSI provides a wide range of companies to choose from across the US. Fuel is one of the biggest operating cost in running a trucking business. QuickTSI helps you stay current on fuel prices, so you can be a smart consumer next time you stop at the pump. View fuel prices in all major US markets.